With so many sportsbooks online it can be difficult to know which one to sign up to. So what we’ve done is taken the best sportsbooks and reviewed them and then report our findings here at 4Flush.com. All that you need to do is read our reviews and find the sportsbook that appeals to you the most. To get started just choose a review from our list below. Alternatively, you can continue reading to learn more about betting on sports online. Sportsbooks offers ongoing promotions, from reduced juice to VIP schemes. The most popular and consistent promotion amongst sportsbooks, though, is the deposit bonus. This is a promotion that sportsbooks use to encourage (or reward) first time accounts to make a real money deposit. There are a variety of deposit bonuses. The most common one, though, is the match bonus. With a match bonus the sportsbook will match a percentage of your deposit up to so many dollars. For example, if the offer is a 100% match up to $1,000, the sportsbook will give you $1 for every $1 you deposit up to a max of $1,000. The maximum amount and match percentage will vary from book to book. What’s important to understand about sportsbook deposit bonuses is that they will (usually) have terms in place requiring you to “clear” the bonus before requesting a cash out. To clear the bonus you’ll need to wager so many dollars and after you’ve met certain wagering thresholds, the sportsbook will release a portion of your bonus (or the whole thing) to you. You just keep going until the entire bonus is cleared. You’ll want to keep this all in mind when shopping for a sportsbook. Bonuses and clearing terms aren’t universal — it varies from one book to the next. So you’ll want to compare books to find the bonus and terms that line up with how much/often you plan to bet. The difficult part about telling you how to find the best sportsbook is that because, at the end of the day, it’s all relative. In other words, the best sportsbook for me might not work out well for you. The best sportsbooks are safe, honest and fair. (Most of) The best sportsbooks are licensed and regulated. They pay their customers what they’re owed. Deposits and withdrawals are timely, and with few, if any, fees. The best sportsbooks have competitive odds/lines. The best sportsbooks have happy customers. They also have a wide variety of options, between what you can place bets on and they types of bets you can place. But like I said, so long as the sportsbook is safe and handles your money like it was their own, from there the best sportsbook all comes down to what you want. The fastest way to find these sportsbooks is our reviews (above) or our toplists. .. and so on. There are many more methods, with most of them being available to specific countries/regions. Americans will face the most challenges when it comes to making a deposit online. The UIGEA prevents banks and financial institutions from making online gambling transactions, so if you’re in the US you may experience declines. In that case your best bet is to try again (make sure the numbers are right), contact support and have them run the payment manually or try another option. If you stick to our recommended sportsbooks that should increase the likelihood of your payment being approved, too. What Can I Bet On Online? … and more, depending on the sportsbook you have an account with. 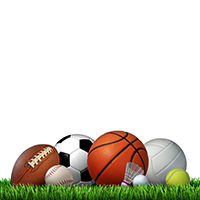 What’s more is that these are just the core sports that you can bet on. At nearly every sportsbook you can drill down further to bet on specific leagues, tours, pro and college sports. Anything you want in terms of games and types of bets you can find online at the sportsbooks we recommend here at 4Flush.com.